The government’s election budget promises notable tax cuts while claiming fiduciary responsibility. Can less be more? For the government, this “election budget” is an exercise in juggling. On the one hand, it is throwing out voter bait. On the other, it is running hard on the theme of economic responsibility. The tax cuts you will get, now and later. The “higher taxes” that Bill Shorten would impose—by cracking down on negative gearing and cash refunds for franking credits. And by claiming that Labor’s climate policy is a “carbon tax”. Under the budget’s tax cuts, low and middle-income earners would pocket up to $1,080 within weeks of the election. For families with a dual income, this amounts to $2,160. The government points out that its tax cuts are the most generous since John Howard’s time. But two things might be noted about this comparison: the 2007 tax package has since been much criticised for being irresponsible, and Howard did not win the election of that year. Despite earlier speculation, the Coalition won’t try to rush any of the tax package—which includes a reduction in the 32.5% rate to 30% from July 2024—through parliament this week. The government wants to set up as much of a contrast between itself and Labor on tax as possible. Treasurer Josh Frydenberg told a news conference the tax bills were “a package”, covering the immediate tax relief and the rate change. The government was asking the public “who do you trust” to deliver lower taxes. A theme in Frydenberg’s speech was that the government was taking its initiatives all “without increasing taxes”. Finance Minister Mathias Cormann said, “We are just not prepared to haggle with the Senate in the next 24 hours.” It was up to the Australian people to back the government in, he said. But, in a game of bluff and counter-bluff on tax, Labor could simply match the immediate relief. This would neutralise part of the tax argument, although the government can still highlight the contrast between its longer-term tax regime and Labor’s “higher taxing” agenda. On economic responsibility, the budget’s boast is for a $7.1 billion surplus next financial year—the first surplus in twelve years. 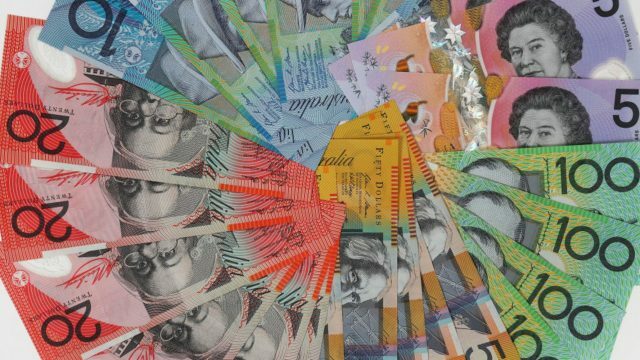 “The budget is back in the black and Australia is back on track,” Frydenberg told parliament, as he outlined the growth of surpluses to a total of $45 billion over four years. The budget might look benign but the government does not want an extended period of Senate estimates next week which would facilitate picking up. We can be sure that in the election campaign, Labor will match or even better the budget’s surplus figures. The budget’s economic projections seem credible enough, although there is the perennial question over its forecast for wages growth—2.75% in 2019-2020 and 3.25% in 2020-2021. His words are a reminder of how quickly things can change—including the prospect of strong surpluses projected into the future. Good economic times suddenly turned bleak in the early days of the Rudd government, as a result of the global financial crisis. The budget provided a nice reality check on the beat-up the government indulged in over the medevac bill. Remember all the hyperbole Scott Morrison spouted, when he said he was going to have to spend more than $1 billion reopening Christmas Island? The government says that if it is re-elected it will repeal the medevac bill and close the Christmas Island facility by July 1—returning any people who have been transferred back offshore. Morrison told his party room on Tuesday, before the budget, that three dates were available for the May election: May 11, 18 or 25. The general expectation is that he will announce the poll quickly. The budget might look benign but the government does not want an extended period of Senate estimates next week which would facilitate picking up.